Yah~~ Thursday! Thursday night is meant to be the later shopping night in suburbs, but my miss and I both finished work late and hutt street is close to home. We decided to hunt for something special. 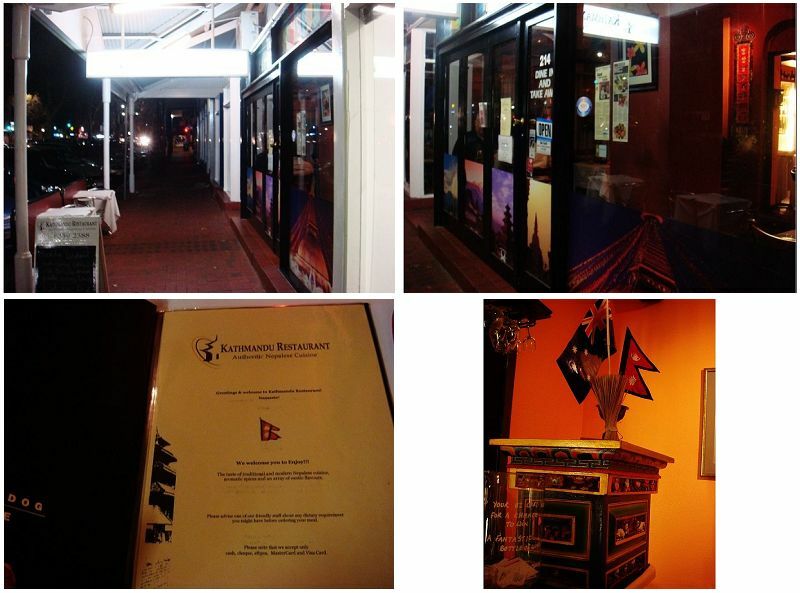 Kathmandu is the name of the capital city of Nepal and Kathmandu restaurant is named after the capital. 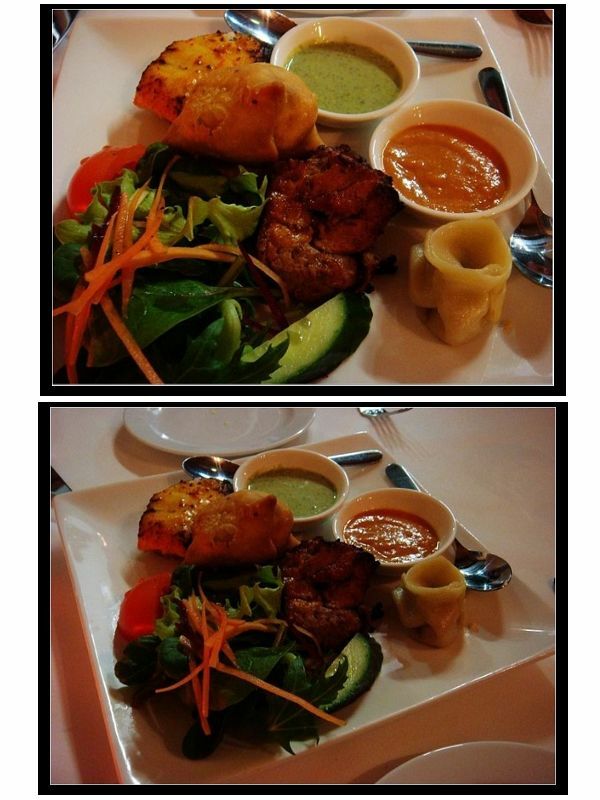 We had Namaste, a Nepalese restaurant in parkside, before and quite enjoyed the amazing food. Kathmandu, however, is more with a Himalaya fused cuisine. The restaurant is located near the southern end of hutt street among all other great cafes and restaurants, in a rather small space. The site used to be an Indian restaurant which I loved a lot and I do expect this Kathmandu restaurant to be good with food:). The fact is, I am fully satisfied after dinner. People know me would know that I like papadum a lot, especially its spicy flavour. 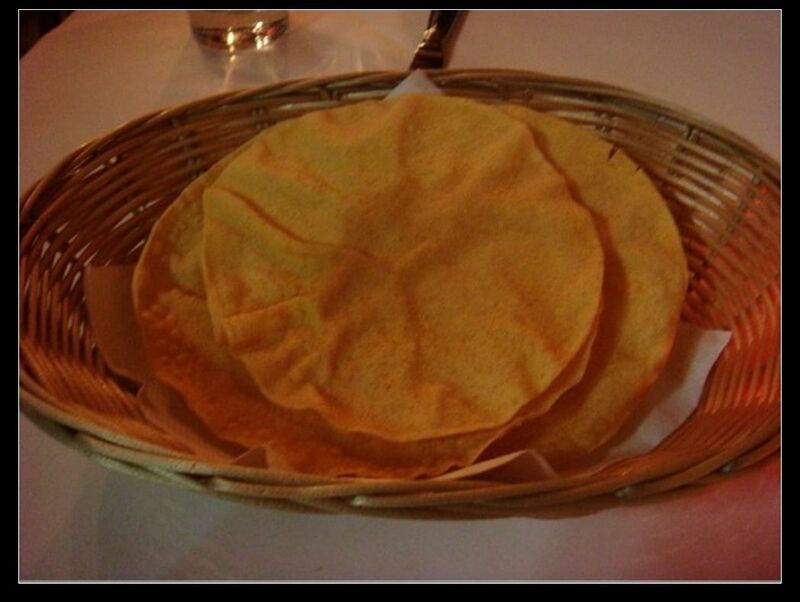 This papadum has everything it has to offer, from strong cumin taste to different spices and I enjoyed them very very much. Entree is the Kathmandu Platter, $14.90. It consist of one piece each of the followings. The two sauces are nepalese traditional mono sauce (right) and mint sauce (left). I love the mint sauce. It is very refreshing especially when having a lot of meat. 1. Sherpa Momo Parikar Chicken. It is a steamed chicken dumpling with the flavours such as ginger, garlic and momo masala. I like it. It is very different from Chinese dumplings and has a special flavour of spices and curries. 2. Poleko Kukhura. Clay oven roasted chicken fillets. In another word, chicken tandoori. Well very similar and very very tender. It made me wonder how the chef actually cooked it. 3. Singada, ie, curry puffs with bahra masala. En….It is very curry and I don’t really like it. 4. Poleko Machha. 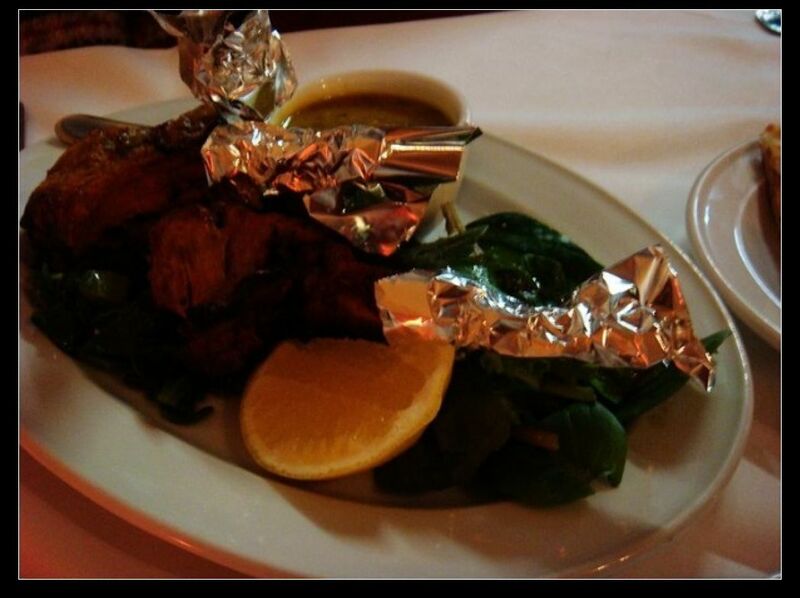 Clay oven roasted barramundi fillets. Very nice. It is tender, moisture and just perfect for a roast fish dish. Khasi Tarkari, $21.90. My miss doesn’t eat lamb. She hate the game taste but the goat curry is just a perfect alternative. 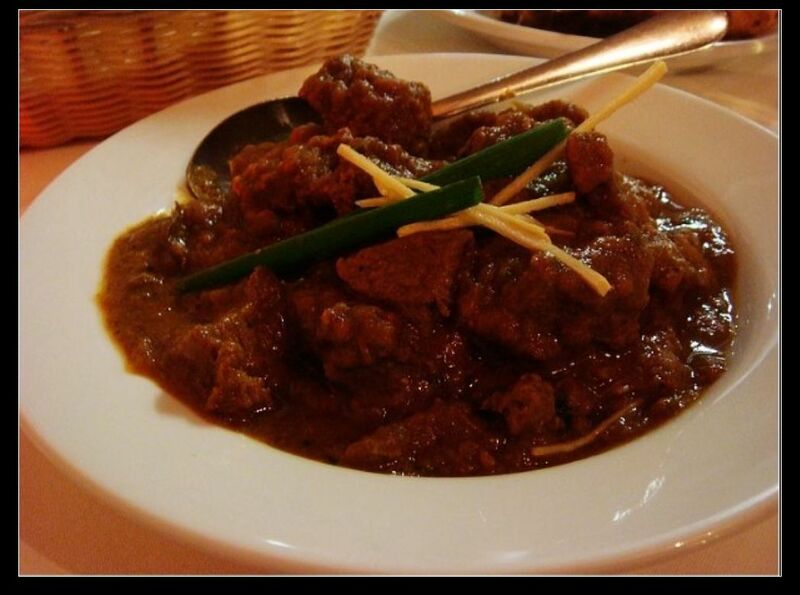 The goat cubes were cooked very tender in the bahra masala curry. The full taste of all spices are enriched and give a very good creamy after taste especially when served with roti. 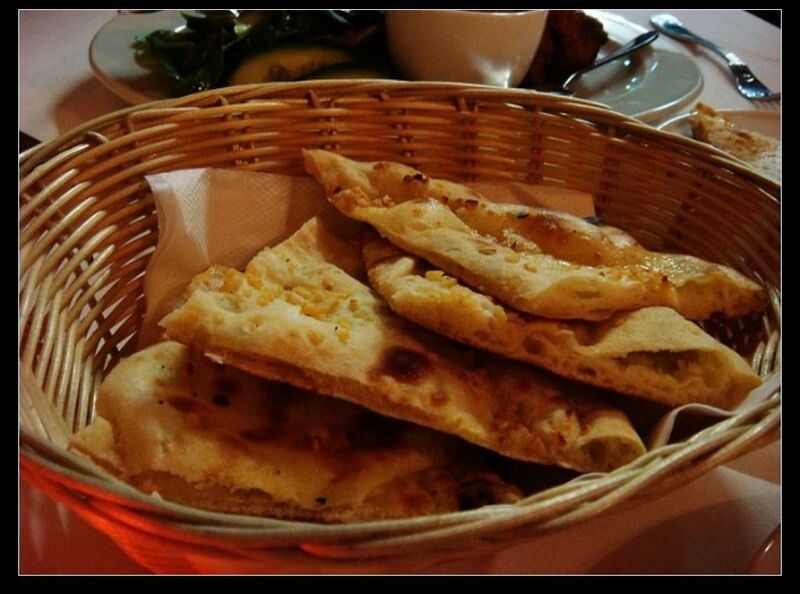 This is the traditional nepalese roti. 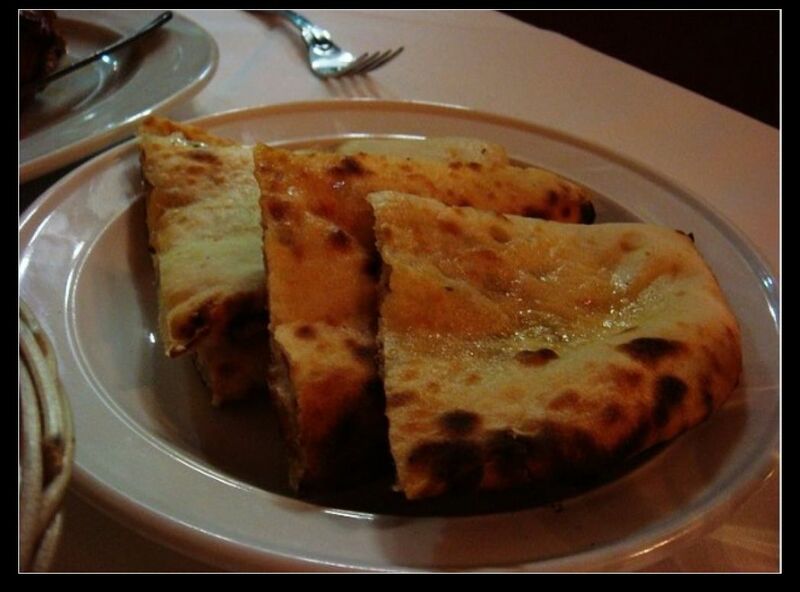 It taste very much like naans but it has more strength than normal naans. Poleko Lamb Cutlets, $24.90. According to the restaurant owner, the lamb cutlets were seasoned with fresh ginger and garlic paste, mint, timbur and mustard oil before they were roasted in the charcoal clay oven. They gave a very generous amount of lamb cutlets. The dish was served with greens, mixed lentil sauce and slices of lemon. The lamb itself was roasted to perfection, tender and moisture. The greens are fine with the lamb to provide some extra bitterness to balance the lamb’s taste. However, the lentil sauce is a disaster. It is very bitter and taste like plain lentil boiled in curries. Don’t like it at all! The restaurant may want to improve their lentil sauce more into a small curry dish. To accompany my dish, I had patra roti. Very buttery, very tasty. We left the restaurant very satisfied and full. The restaurant itself is fantastic in service, food and has an extensive wine list. Highly recommended for the foodies to try some authentic Nepalese food!